In a recent survey, it showed that over 50 percent of businesses planned to devote more resources into content marketing. Many marketers now recognize how important having a web presence is in taking a business to another level. As a part of any online strategy, you have to be prepared to make producing quality content your online marketing priority. As the algorithm changes in Google evolved, the need for better content became a priority for most marketers. The sudden changes penalized sites with lower quality links and promoted sites that provided better content. The site featuring content that was once focused entirely on creating content focusing exclusively on keyword and density began to lose ground to sites whose content was higher in quality. Thought leadership, authority, substance and branding all became critical components of the solid content marketing strategy. Although SEO plays a role in most content marketing practices, creating quality content seems to go a lot further in creating a stronger search presence. What is the advantage of quality content over basic SEO? Content created solely for the purpose of SEO may or may not place a priority on the quality of the content. Solid content is designed with the intent to be meaningful. This type of content is designed to be shared throughout social media and within communities. This type of content has the potential to go viral and be mentioned by others in niche publications. Content creation isn’t the same as SEO. All website owners must be able to distinguish between SEO and content marketing. Many believe that maintaining a website or updating a blog consistently is all that is required to take care of the SEO requirements for a blog. This is a common mindset that many brands embrace. Focusing on the quantity of links instead of the quality of the links provided is yet another mistake website owners make. With Google Penguin updates recently made, website owners were encouraged to focus their link building efforts on generating quality links. SEO is a different type of marketing altogether. It is unique from content marketing on many levels. 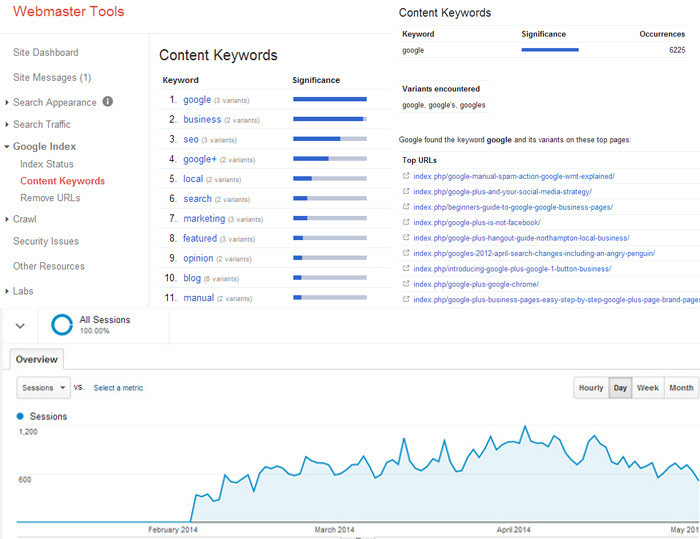 SEO leans heavily toward strategy. The focus on developing a long-term strategy and optimizing the site to communicate with the search engines is what separates the SEO practices from content marketing. It’s about taking the tools, information and data work together to promote the website. The XML sitemap and robots.txt determine how the site URLs are indexed. The goal is to ensure that both components are always updated so that the links are crawled often. Keeping the XML sitemaps properly updated to keep the content, images and video up to date. Actions are designed to promote gradual improvement in ranking, resulting in a better search engine presence. Utilizing social media feedback tools such as the Facebook Open Graph and Twitter Cards. Monitoring these metrics will allow the business owner to measure the impact of the strategy. Content marketing focuses on an entirely different set of objectives. An actual content strategy is developed. A content creation routine or schedule is put in place. The sharing strategy component is an additional component of the overall strategy. Content marketing and SEO are interdependent. Improvements in the quality of the content will benefit the SEO initiatives. SEO tasks must also be managed to encourage proper indexing and crawling activities. Failure in handling these SEO tasks will result in missed opportunities to capitalize on the many long-term benefits available through crawling and regular indexing. Content creation and SEO are complementary. Each one supports the other function in getting the website maximum visibility. The content creator focuses exclusively on the industry and outreach. SEO focuses on the technical aspects of a website and ensures that the proper coding, optimization techniques and data are put to use to maximize indexing. The SEO monitors the algorithm changes and oversees the testing to satisfy long-term performance objectives. Expertise in both content marketing and SEO can benefit the website owner’s site performance.